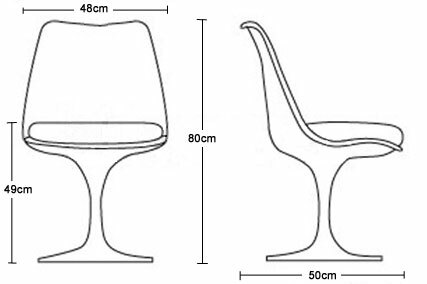 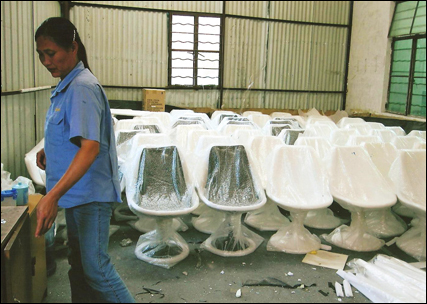 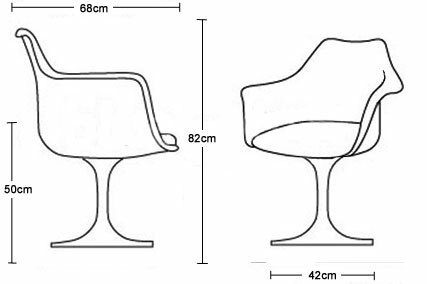 The Trumpet® chairs that we offer are faithful reproductions of a 1956 design, but should not be confused with the originals - our very competitive prices reflect this. 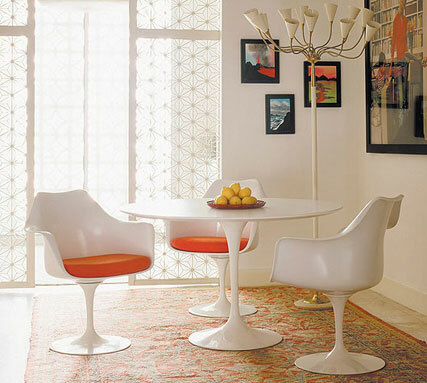 The Trumpet® dining chairs are complemented by the matching Trumpet® table design. 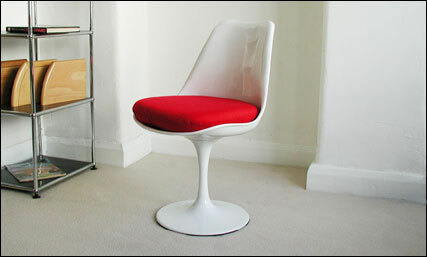 The Trumpet® dining chair has a molded plastic shell with a comfortable seating pad. 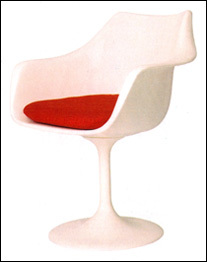 The Trumpet® armchair has a molded plastic shell with armrests and a comfortable seating pad. 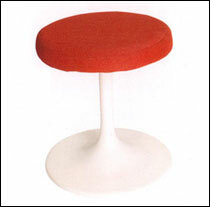 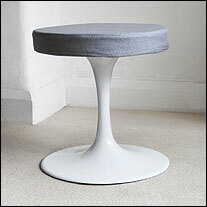 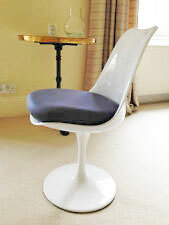 The Trumpet® stool pictured below completes the range of seating designs in the Trumpet® range.